Ruth Bader Ginsburg, also known as the Notorious RBG, is known for her role as the Associate Justice of the Supreme Court of the United States. Bill Clinton said, “Ruth Bader Ginsburg cannot be called a liberal or a conservative; she has proved herself too thoughtful for such labels,” when he nominated her to the Supreme Court. So who is she, really? Joan Ruth Bader was born in the Flatbush neighborhood of Brooklyn, New York, in 1933, the daughter of Jewish immigrants. Bader’s mother died while she was just 17 years old. After graduating from Cornell University in 1954, she married Marty Ginsburg, and not long after, they had their first child. While Ginsburg was pregnant, she was demoted at her job at a social security office, as discrimination against pregnant women was still legal in the 1950s. In 1956, Bader became one of nine women to enroll at Harvard Law School, where the dean of the school compelled the women to tell him why they think they should take the spot of a man at Harvard. After that incident, she later transferred to Columbia Law School in New York and became the first woman to work at both school’s law reviews. Despite that, Ginsburg struggled to find work, even though she had been at the top of her class. She’s won 5 out of the 6 cases she argued before the Supreme Court, a time when she says she felt she had to explain gender discrimination to all the male justices like a “kindergarten teacher”. Recently, a documentary was made about Ruth Bader Ginsburg by Betsy West, and Julie Cohen. The documentary was a behind the scenes of Bader’s powerful speeches, and fighting for equality for both women and men. 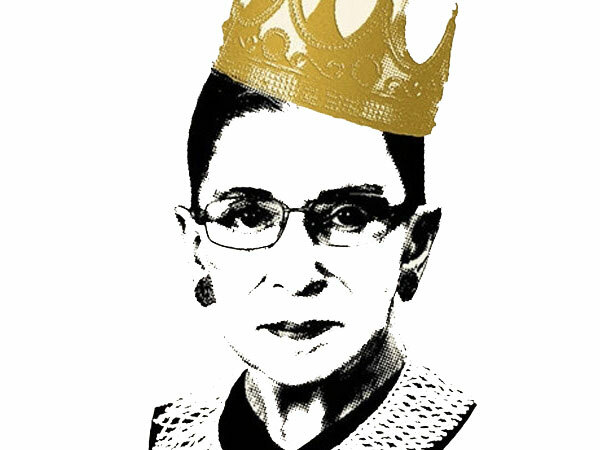 Sheila O’Malley from rogerebert says, “The Documentary never digs deeper than a superficial fangirl-style, akin to the young women waiting to hear Ginsburg speak, wearing Ginsburg T-shirts, holding Ginsburg mugs….Her accomplishments are daunting, especially when you consider the era in which she decided to go to law school, even more when you consider she also had a baby at home.” It also states that her now late husband, Martin D. Ginsburg, refers to her as a “superhero” and is well liked by all. Ginsburg has won 5 out of her 6 cases, proving her capability, considering how early she went into the law business school as a woman in an era where gender equality was largely ignored.